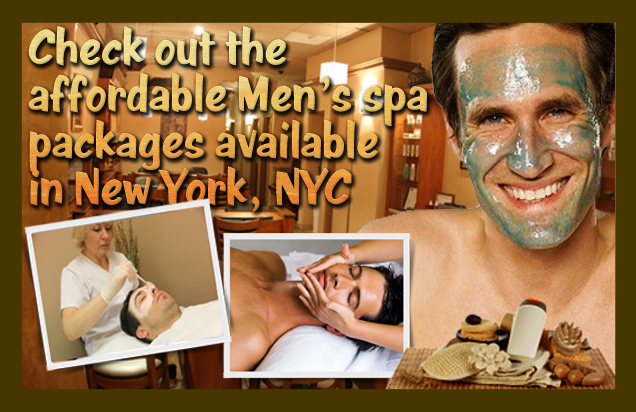 It is absolutely worth it to check out the affordable men’s spa packages available in New York, NYC. Dyanna Spa is eager to show men that day spas aren’t just for women. The spa packages we’ve put together for you will give you the opportunity to see how you can benefit from our spa services without making a big dent in your wallet. Receive a regularly priced $35, 45-minute “Jelly Pedicure” and after this spa treatment, your calluses will be soft and smooth and the skin on your feet nourished and moisturized. Add in a 30-minute chemical-free “Brazilian Manicure”, with its nail-invigorating properties, regularly $16, and you’ll have a fantastic mani-pedi package. You’ll save $6 on this spa special package. We’ve paired our 60-minute “Back Facial” that cleanses your back of acne, blackheads, and other blemishes normally costing $85, with a 30-minute “Swedish Massage”, normally $45, that increases the circulation throughout your body, relieving muscle tightness and all your aches and pains. This adds up to a $10 savings. Our usually priced $75 “European Facial”, which thoroughly cleanses and exfoliates facial and neck skin, unclogging pores and removing impurities for a younger looking you, goes together with our $35 normally priced “Regular Manicure and Pedicure”, with nails and toenails filed, shaped, buffed, soaked, and in all ways made to look clean and attractive. This represents a savings of $10.